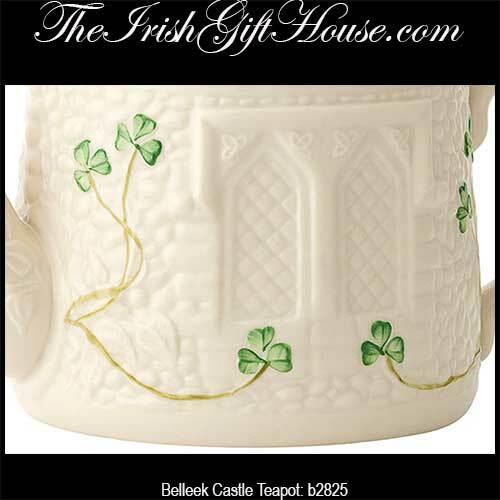 This Belleek teapot that features a castle shape with hand painted shamrocks on fine china. 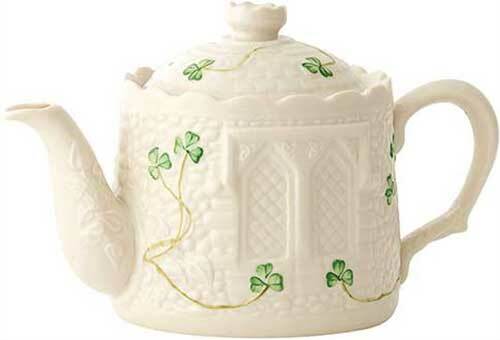 This Belleek teapot features an Irish castle design and is further enhanced with hand painted green shamrocks along with sculpted parapets and embossed windows. 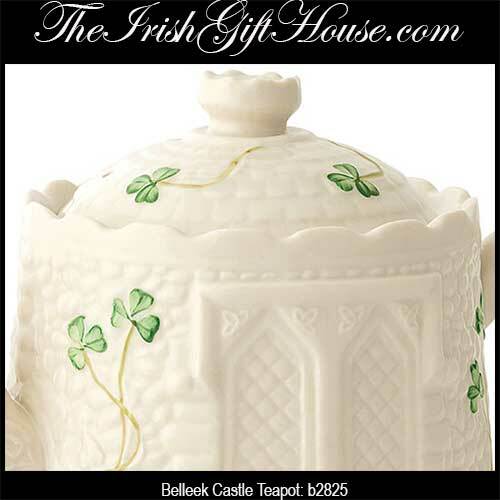 The Belleek castle teapot measures 4 1/2" tall and holds 22 ounces; it is made of fine china. The Belleek China teapot is safe to use in the dishwasher and microwave oven.